Forms a powerful partnership in serving the world’s largest market. SAN MARCOS, CA – Cart Mart, Inc. today announced that it has entered into an agreement with Club Car, LLC, an Ingersoll Rand company, to expand Cart Mart’s dealership operations with a contract to distribute Club Car-and Carryall-branded gas-and electric-powered commercial and transportation vehicles into Los Angeles County. The company, already with three locations in Southern California, will focus on the area specifically referred to as North Los Angeles County. Considered the #1 market in the world for small gas and commercial, electric-powered transportation, utility and street-legal low-speed vehicles, this new contract fills a gap in coverage formally maintained by Club Car as a direct market territory. This change further expands Cart Mart’s coverage to include Los Angeles, San Diego, Orange, Imperial and Riverside Counties. In March 2016, Cart Mart completed a massive expansion into Riverside County with the opening of its third location in Rancho Mirage. Also considered one of the largest markets for private (consumer) golf cars and resort vehicles in the nation, Cart Mart’s success in the desert provided much of the momentum needed to fuel its growth into the Los Angeles market. Cart Mart’s Rancho Mirage facility has since assembled a world-class team, operating from a 29,000 sqft. facility that houses the largest retail golf car showroom in the country with 15,000 sqft. of showroom floor. With this new expansion, Cart Mart continues to leverage its experience of nearly 60 years in business by embracing technology and mirroring automotive industry-best practices to improve its sales and service operations. Cart Mart will continue to invest in adding people and improving its technology to support its growth and will leverage its leadership team and proprietary systems to offer world-class service to thousands of commercial and consumer customers in the L.A. area. 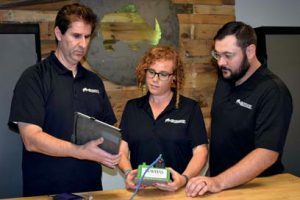 This expansion accelerates Cart Mart&apos;s push for centralization of its service, parts, finance and HR departments under one roof and will serve as a platform for future growth. contract. It was critical that both companies share a similar vision and appetite for growth and self-improvement. Brian Rott, president and CEO, said, We are honored to be designated for this incredible opportunity to support the Los Angeles market, and I am pleased to have the full confidence and support of Club Car through this expansion. 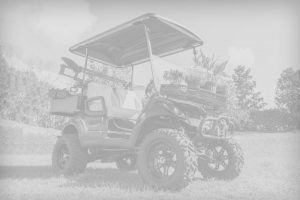 My staff and I are excited to expand our partnership with Club Car in supporting the world&apos;s #1 brand in golf and utility vehicles. Cart Mart, Inc., based in San Marcos, with four locations in Southern California, first began marketing electric golf cars in 1959 and has grown to become a leading dealer/distributor in the golf and commercial vehicle industry through its neverending commitment to customer service and drive for self-improvement and growth. The company specializes in the sales, service, OEM and aftermarket replacement parts and special event rentals of golf, transportation, commercial, industrial and low speed vehicles (LSVs). Representing top-tier brands like Club Car, Polaris, GEM, Taylor-Dunn, Brutus, Yamaha and Garia, Cart Mart supports thousands of customers throughout Southern California and Baja California, Mexico. An award-winning organization, Cart Mart has been honored with many industry and community awards such as Club Car&apos;s Black &amp; Gold Award given to only the very top performing dealers (2014-2017), Business of the Year for the City of San Marcos (2015), Top 150 Fastest Growing Companies in the City of San Diego (2016) and was recently honored as one of the Inc. 5000 Fastest Growing Companies (2017). Customers include universities, amusement parks, schools, military bases, hospitals, golf courses, shopping centers, apartment communities, stadiums, hotels, resorts, airports, manufacturing plants, distribution facilities, builders and countless private individuals who require a specialized vehicle to move passengers or product in the course of work or play. Cart Mart currently employs 85 full-time and part-time employees between three locations in San Diego, Orange County and Rancho Mirage, CA, and when fully operational in our new Los Angeles location, we will employ 100+ employees. For more information on Cart Mart, Inc., visit www.cartmart.com. For media inquiries please contact Brian Rott at (760) 744-4420, ext. 3076 or brian@cartmart.com.